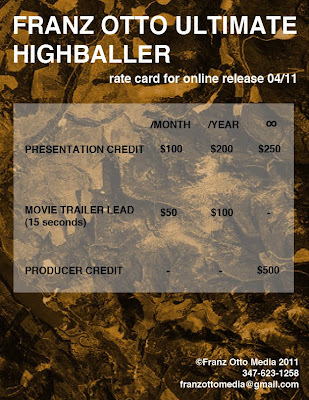 Franz Otto Ultimate Highballer, a 53 minute documentary film on a contemporary folk hero, has been featured on Viceland, Thought Catalog, and CBC. It has screened at independent venues across Canada, at PPOW Gallery and at Anthology Film Archives in New York. Preceding the film, your company's logo will appear on a black background for up to 4 seconds accompanying a sound or music of your choice. Your movie's 15 second trailer will play before the feature as part of the video. 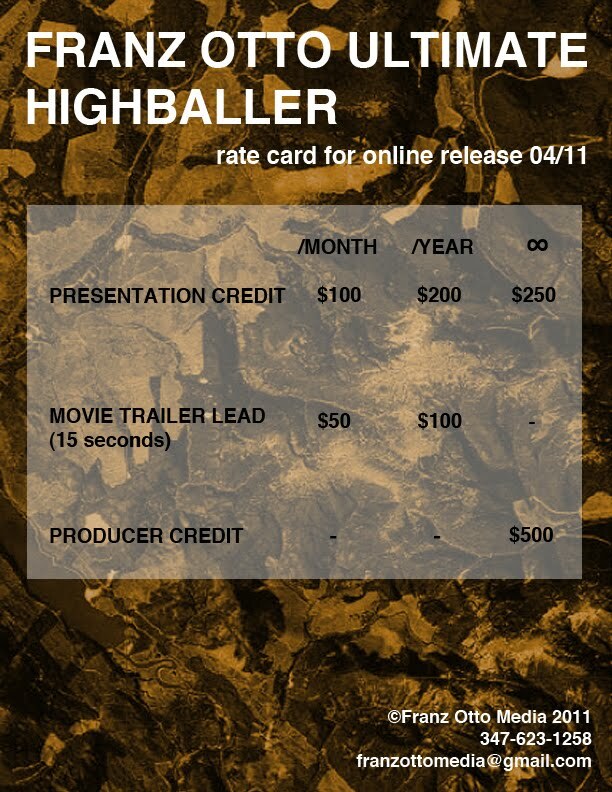 You will receive permanent credit in the film and a link underneath.